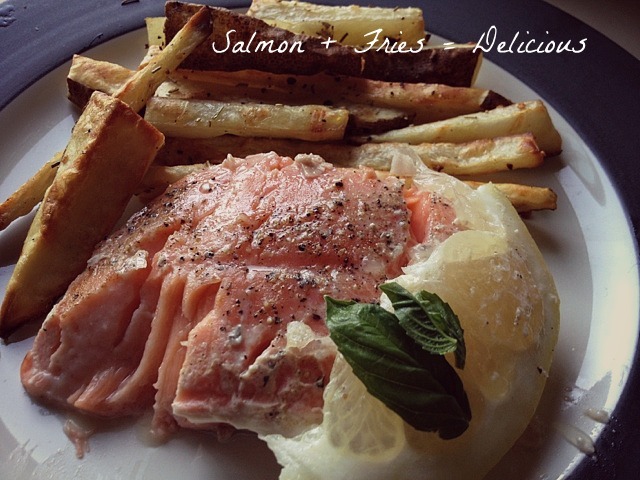 Ingredients: Salmon, Lemon, Pepper, Seasoned Salt, Butter. 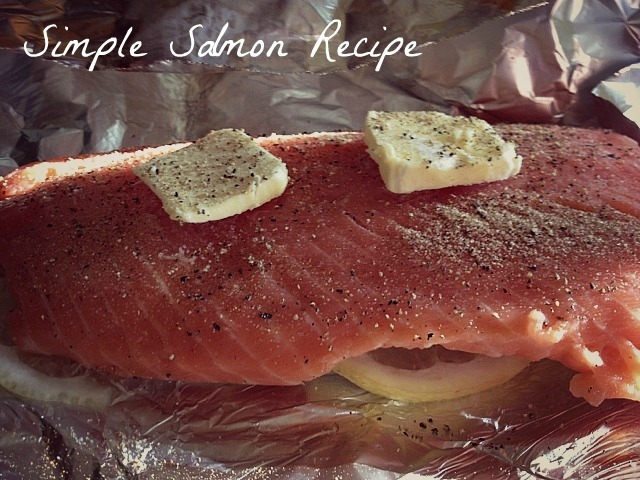 Put the Salmon on top of aluminum foil ( you will use this piece to cover the salmon as well). Cut about as many lemon slices as the size of the Salmon. Then place them underneath the Salmon. Add two pieces of butter on the Salmon. 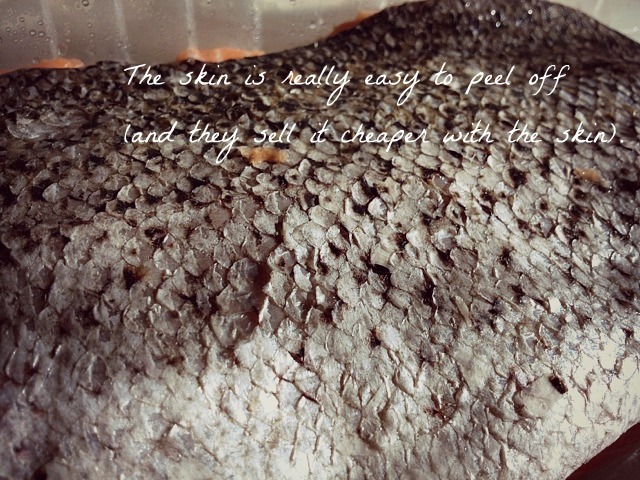 Season the Salmon with the Salt and Pepper. 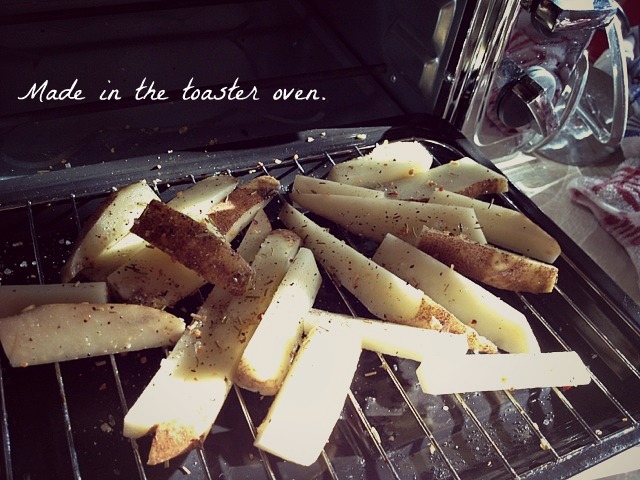 Ingredients: Potatoes, Sea Salt, Olive oil, Garlic and Rosemary seasoning. Cut the potatoes in the shape of fries. Let the potato slices sit in cold water for a couple minutes. Mix them in a bowl with olive oil, salt, and seasoning. Place the on a rack in the oven and heat for about 25-30min (depending on how you like them).